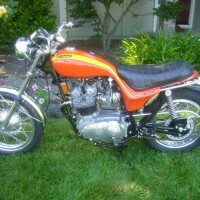 Restored 1976 Honda CB400/4 Motorcycle. 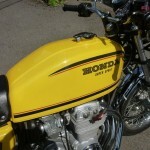 This Honda has been professionally restored from the frame up. 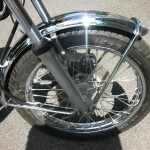 The frame was sand blasted and powder coated. 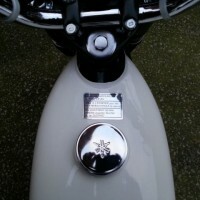 The petrol tank and side panels were repainted. 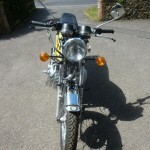 The engine was stripped and rebuilt with a new cam chain, tensioner and hivo chain. 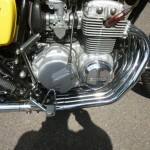 The carburettors were stripped, ultrasonically cleaned and rebuilt with new seals. 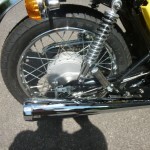 All of the original nuts and bolts were re-plated. 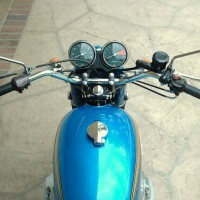 A truly outstanding restored Honda CB400/4 Motorcycle. 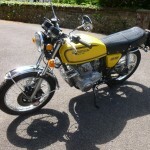 Honda CB400/4 – 1976 For Sale or Wanted? 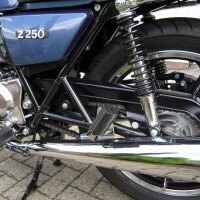 If you're looking for the perfect Honda CB400/4 – 1976 for sale then take a look at the hundreds of restored classic motorcycles listed on our extensive Motorcycles For Sale pages. 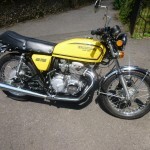 We regularly feature very nice restored Honda CB400/4 – 1976 bikes for sale. 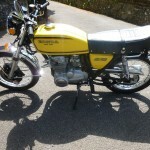 Spares and Parts for your Honda CB400/4 – 1976? 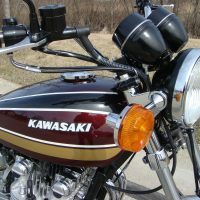 Workshop Manual for your Honda CB400/4 – 1976?